Spring is finally setting in. With the shift to warm weather, you can finally make a few investments that will really boost how much you enjoy your home…and its overall value too! 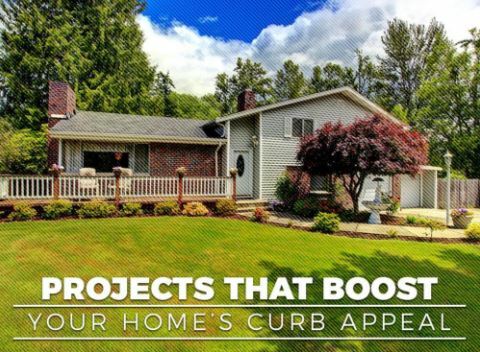 State Roofing, the premier roofing contractor in the Seattle area, recommends prioritizing the following home remodeling projects to really kick up your home’s curb appeal. As the part of your home that is the first hit by weather and Mother Nature, it’s important to keep your roof in excellent condition. This means conducting repairs if you see any signs of damage and replacing it if necessary. And of course, a well-built roofing system never fails to improve curb appeal. By choosing from a wide range of roofing materials, available is an array of unique colors, you can find an option that complements your home’s style and lets your home stand apart. Be sure to turn to a professional roofing contractor like State Roofing for quality services. Our team can provide flawless installation so that your roof not only looks great but performs well. These are backed by roofing warranties for your peace of mind. Extend your living space and enhance your home’s charm with a beautiful deck. With new technologies offering deck solutions that minimize maintenance and maximize longevity, you can find a deck that adds a stunning addition to your home. Consider decks constructed from pure cedar wood or composite materials. Both are pest-resistant and add stunning curb appeal. Make your home the envy of the entire neighborhood with State Roofing. To learn more about our services, call (360) 205-3100. You can also request a free estimate. We serve Kirkland, Bellevue, Seattle and other nearby Washington communities.